If you heave read the previous ‘Maharaja’ articles, you may have noticed the term shikar several times. Before Independence in 1947, the Indian Royalty had an exclusive privilege for hunting, known as the sport of shikar. As a vegan quite sad to write about those shikar expeditions where many of those beautiful and now very rare (Bengal) tigers were killed. Anyhow, some very fine shikar vehicles were involved with this ‘sport’! It was a way of sharpening the senses, keeping the reflexes up to date and being active. The Maharajas needed to be prepared for war at all times! Almost every large and medium-sized state had its own game reserves, with strict rules about for example what to shoot and what not to shoot and of course an abundant share of wildlife! This form of relaxation was also a way to socialize with British Residents, Political Agents and on occasion the Viceroy and other Royalty. Smart as the Maharajas were, this was also a way of keeping the British officers ‘on the right side, their own side’! Shooting ‘the royal beast’ (tigers) was under strict control and only a prey for the elite. You couldn’t just go around like a butcher. Funny to mention that Maharajas were also collectors of special animals and birds within their zoological gardens. Not all Maharajas shot their animals, like Maharaja Rana Sir Udai Bhan Singh of Dholpur, who used to be a great shot. After he became aware of his genuine love for animals, he has never attempted anymore to shoot one of his wildlife friends. Before shikar vehicles were used, transport for those expeditions was by carriages or elephant/horseback. Elephants were, next to cars, still of vital importance as shikar tracks often passed thru dense forests or marshland. 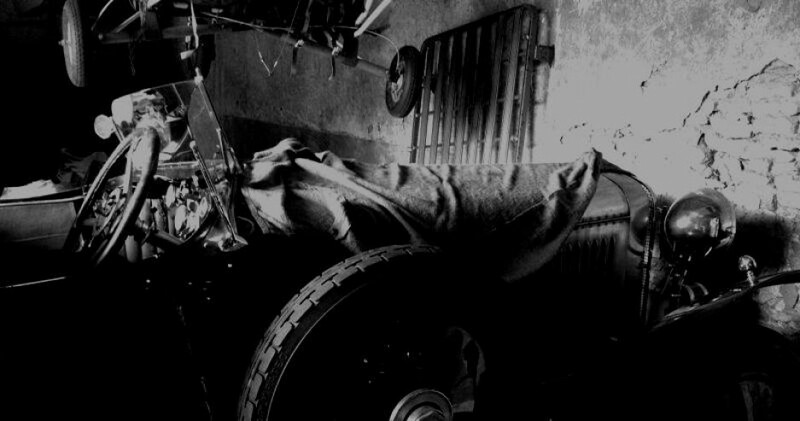 Before the entry of the Jeep during WW2, a wide range of cars was used for the shikar sport. Lightweight Model ‘A’ and ’T’ Fords with foot-gear were especially suited to work their way out of the mud-holes. Most shikar cars were specially built models, fitted with lighter bodies, double axles, low gearing, a high ground clearance chassis and of course a large number of (spot)lights fitted for hunting in the dark. And not to forget the racks on the running boards for the guns. To make the expeditions as comfortable as possible, the shikar camps were equipped and build in such a way that it now appears like madness to us! It was camping for HH in the most grandiose style… like staying in a resort! Magnificent tents were put up, surrounded with small gardens with an abundance of colorful flowers; it was all just PURE luxury! The shikar parties were accompanied by special cooks as well as unlimited champagne of the best brands! Bringing a motorcar over hundreds of miles to carry HH for a mere two miles, was NO PROBLEM AT ALL! Shooting brakes (mentioned in an earlier RR article), with their specifically strong chassis, were often used for shikar. Due to individual specifications and whims of their Royal owners, an exceptional collection of magnificent shikar cars of many different marques found their way to India back then. The most valuable of those were ordered from the mid-1920s to late 1930s. The pearl of all Indian shikar cars was probably the Isotta Fraschini Tipo-8A with exclusive coachwork by Windovers (the famous coachbuilders from London). This car was ordered by ‘big spender’ Maharaja Bhupinder Singh of Patiala and cost more than £7000 in those days. This Windovers Isotta featured twin shock absorbers, a white pure ivory covered steering wheel and column, mahogany cabinets to carry provisions, wine bottles and Red Cross kits, searchlights for night-hunting, gun-supports on each side of the car (to allow better targeting even when traveling at high speed), a metal buffer bar (to fend off stampeding or attacking animals) and an exhaust whistle with a sound powerful enough to scare off any attacker. The whole car (also the wire wheels) were enamelled in camouflage shades by Solomon J Solomon RA. Sometimes the Royals also ordered busses that served as dining facilities. Some typical London busses were modified in the name of shikar and were equipped with fans, sofas, dining tables, wardrobes, a bathroom, a pantry and of course again gun-racks because even during dinner the hunt went on! Rolls-Royce was a beloved shikar marque, especially by the Maharajas of Alwar, Baroda, Sarguja and Patiala. I could easily go on writing about the Maharaja and shikar another few pages, but to shorten things I will now just list a couple more shikar cars. Rajkot: Rolls-Royce Phamtom II torpedo cabriolet equipped with just 12 lights…! Kotah: a 40-50HP Rolls delivered in 1925 with torpedo body built to his specifications by Barker & Company Ltd. Unknown: 1930s 26.9HP shikar saloon supplied by Renault Ltd.
Indore: not to forget his massive camp by Eckhart Muthhesius, that I mentioned in an earlier article this week! Jaora: the twin brother Nawabs always bought identical cars in pairs, like a pair of Packards and Cadillacs, even their shikar guns matched! Sadly for now this is the end of the series about the ‘Maharaja automobiles’. I will return to this subject later this year (shikar cars will return as well)! Next week’s theme will be ‘Movie-week with Louis de Funès’ iconic cars’, including a very special request for a Dutch WW2 movie that will be shown in the cinemas!